Several years ago when the first radio and speaker were invented when speakers at that time can be big as a box. As years goes by, technology has progress as well as new gadgets were being invented to satisfy the techie ones. Ipod have been in demand many countries and wherever you go, you can see many people carrying one. 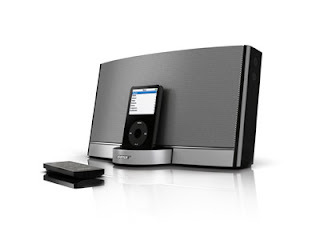 Many accessories can be bought to highlight its best features, the latest which is the ipod docking station was popular for those who love to hear music as well to those who live in a small condominium, considering the fact that you only need to consume less space to put them.